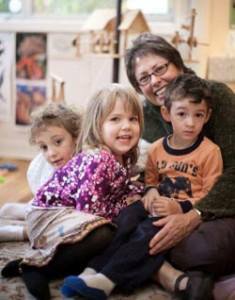 Jory provides classroom visits to Preschools, Day Care Centers, In-home Child Care, Head Start, Early Start, and more. 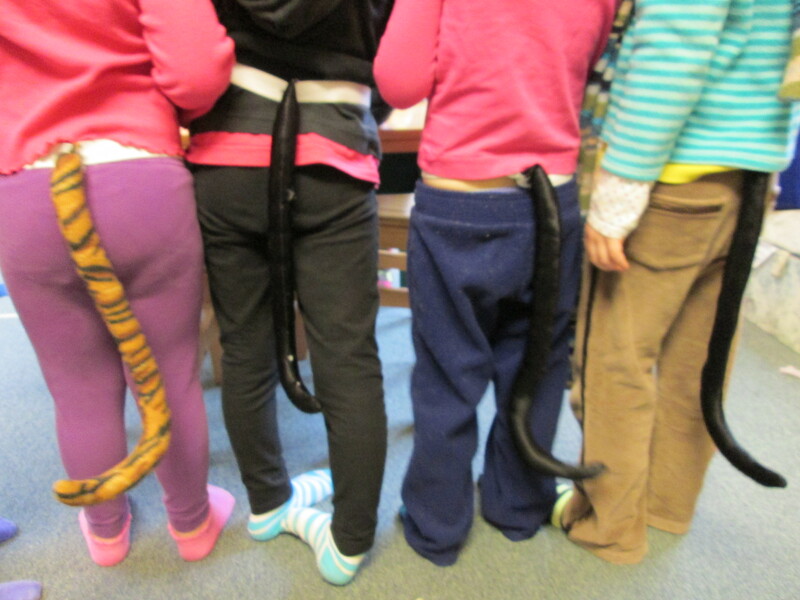 Bringing instruments, scarves, tickle feathers, shakers, puppets, and other simple props, Jory engages young children in using music and language, as well as their other senses. Both fine and gross motor skills are enhanced in delightfully enjoyable ways. Jory can come once, or an ongoing basis, (usually twice a month). Classroom visits combined with Jory’s Teacher Training, can help music become a daily event in classrooms. Why is Music Important For Young Children? “Music is an intelligence in and of itself. It also uses some of the other 6 intelligences in various ways. Songs are linguistic, rhythm is logical, dance and using instruments is body kinesthetic, musical interpretation is interpersonal, etc. Thus, by being involved in music, a child becomes in tune with many aspects of the self”. Music uses a different part of the brain than regular speech. Through music, children develop their listening skills, vocabulary, and prereading skills (such as syllable recognition, phonological development, etc.). Michael F. Opitz (Rhymes & Reasons). Music builds brains! While singing a song, children see all the images in their minds. Music enhances memory and builds understanding of mathematical relationships (songs have patterns and relationships). 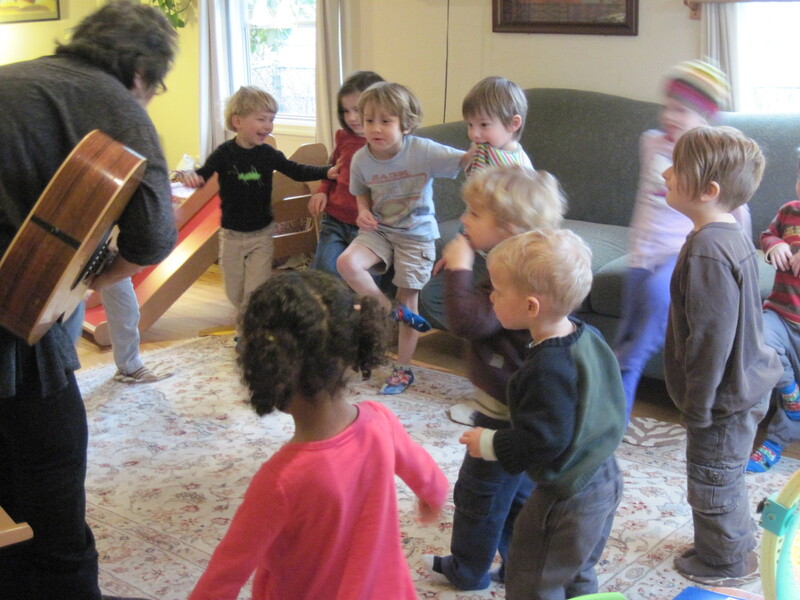 “…songs about various educational concepts such as opposites, numbers, vocabulary and human emotions continue to fascinate children.” Barbara Potts, Ph.d Early Ch. Ed. Music builds a sense of community, cooperation, listening and sharing, outlets for emotional expression, and confidence. Both fine and gross motor skills can be promoted through music’s ‘kinesthetic learning’. Music makes children want to move! Bev Boss says “97 percent of what we learn, we learn from the neck down!”; we must actively use our bodies! 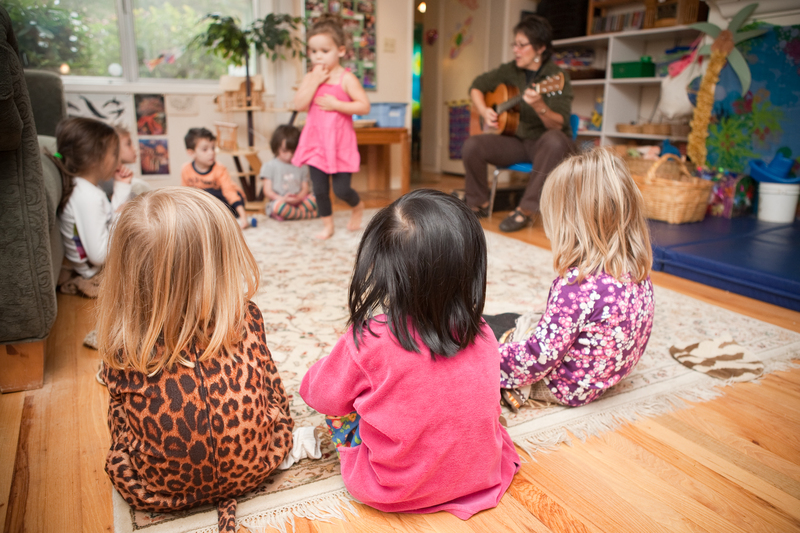 Music provides a vehicle for children’s own creative expression and ideas. It motivates them to express their own ideas which they can further develop through follow-up work (drawings, book-making, etc. ).